Getting charged with driving under the influence (DUI) can be extremely scary. 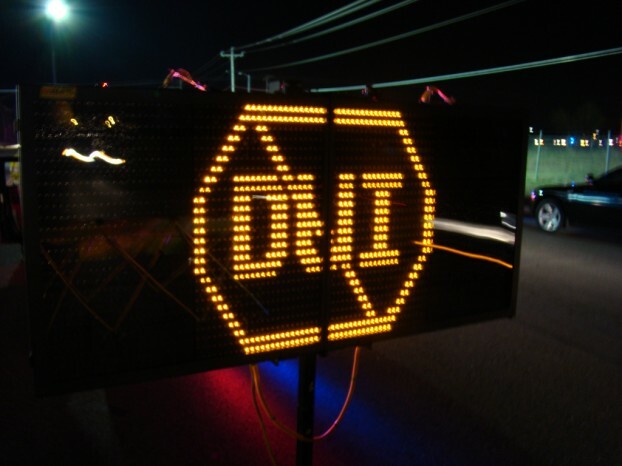 A DUI is one of the most serious traffic violations on the books, and it can be difficult for an offender to handle the situation. Obviously if you’ve gotten a DUI, you know that you’ve made a mistake, but you still have to go through the entire process. It can be complicated, but as long as you are attentive, you should get out of it just fine. Here’s a basic guide for dealing with DUI charges. Your DUI charge basically begins when an officer pulls you over and questions your sobriety. Even if you’ve already received a DUI charge, it’s important to know how to handle the stop, in case you are pulled over for drinking and driving a second time. The most important thing to know is your rights. Contrary to popular belief, you are not required to take the traditional field sobriety test where they have you walk in a straight line, balance on one foot, etc. Of course, arresting officers will not tell you this is optional, but you can still decline, and you should. This sort of test is extremely subjective, and, even if you’ve only had one or two drinks, you’ll likely fail because of nerves and an officer’s subjectivity. Make sure, however, that when you decline you say the test is not required by law; that way you can’t be misquoted in the court, because officers carry recording devices. The chemical test administered — such as a breathalyzer — is only mandatory if the cops have probable cause to arrest you for driving impaired. You only have to agree to the test if you are accused of being drunk; however, if you refuse a mandatory test, you’ll get your license revoked for a few months. After being arrested, you will be taken to the police station. There you will be permitted to make a phone call, and you will be placed on bail. You can call a family member or spouse to help you make bail, and they’ll be allowed to come pick you up. This will let you go home and begin dealing with your charge. You may find a lot of advertisements for attorneys that promise to lessen your DUI case. Don’t bother calling them, as all they do is contact the district attorney. You, yourself can contact the district attorney and try to negotiate with them; you’ll have just as much luck as an attorney would. You may be asked to strike a plea deal — where you admit to being guilty, and are given a smaller punishment — in which case, make sure that you’re actually getting a decent deal and never admit to the district attorney that you were, indeed, guilty, as that can be used against you. You will have 10 days following your arrest to request a hearing from the DMV, which you can do in person. Even if you cop a plea deal, you’ll likely have your license suspended for a few months. You should not be ashamed of your DUI, because accidents happen. You should, however, limit the amount of people you tell, as you can get in trouble at work for having a DUI on your record. Kenneth Payton, a former criminal defense attorney, writes on DUI defense, criminal law, personal injury and other topics; he recommends that those who need assistance with DUI issues visit http://www.criminaldefensene.com/. Image credit goes to Oklahoma County Sheriff.